Changed in version 1.31.90: There were some changes in the protocol and applet has been renamed. The original applet has been created for <http://series60-remote.sourceforge.net/>. Gammu uses extended version which is probably not fully compatible with original. Connection to S60 phones currently works only using Bluetooth. Not signed applet, which can be installed to the phone if it has enabled installation of unsigned applications (see Allowing installation of unsigned applications). This applet also lacks some capabilities, so for example you will not be able to get network information. Applet ready for signing using Open Signed Online. This will allow you to install applet to your phone only (it is bound to IMEI), but you don’t need to allow installation of unsigned applications. The best way of course would be to have properly signed applet. However access to signing tools costs 200 USD per year, what is something we can not afford right now. Open Application Manager, it is usually located in Control Center. Press left soft key for Options menu. From the menu choose Settings. Change the Software Installation to All. Change the Online certif. check to Off. This allows installation of any not signed code to your phone. You should consider reverting this change, once you have installed applet required for Gammu. To run the applet you need to install Python for S60 2.0 to the phone. You can either download it from their website, or just get mirrored installation package from <http://dl.cihar.com/gammu/s60/Python_2.0.0.sis>. This file is not distributed with Gammu due to licensing reasons. On some phones, the Python for S60 2.0 will not start, in this case you need to install some additional support libraries coming with Python for S60 2.0 - pips.sis, ssl.sis and stdioserver.sis. You can get all of them at https://wammu.eu/s60/ as well. Downloading files from the phone and installing them directly. You can download all required files from https://wammu.eu/s60/. 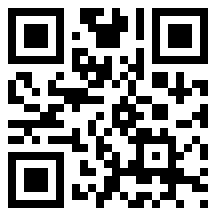 QR code for download of applet. Now you need to start the Series60 applet in the phone and Gammu should be able to talk to it.